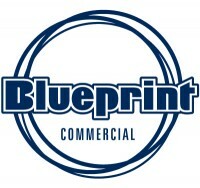 Blueprint Commercial are proud to sponsor the Racing Rugby Club of Melbourne in its inaugural season. Inspired by the colours of the famous French Racing 92 club, the Racing Rugby Club of Melbourne is a junior club affiliated with the Victorian Rugby Union (VRU). We wholeheartedly agree with the club’s motto “Fortitudo et pertinacia” – Courage and Determination, respect for yourself, respect your team mates and respect the opposition, have fun and enjoy the rugby.